Westmeath, often referred to as the ‘Lake County’, is a prosperous midland county whose main towns are Athlone and Mullingar. The major Gaelic families in the county include O’Flanagan, MacAuley, MacGeoghegan, Brennan, O’Coffey, O’Mulleady, O’FInlan, O’Growney, O’Melaghlin and O’Daly. Later Norman arrivals included DeLacy, Plunkett, Nugent, Tuite, Petit, Delamar, and Dalton, and later still English adventurer families to arrive included Ledwich, Dardis and Gaynor. 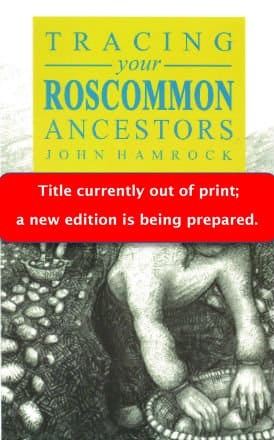 The lives and activities of these various peoples of Westmeath have generated a huge variety of records, many of which can be useful to the family historian. This book explains what records exist and how to use them to best advantage. 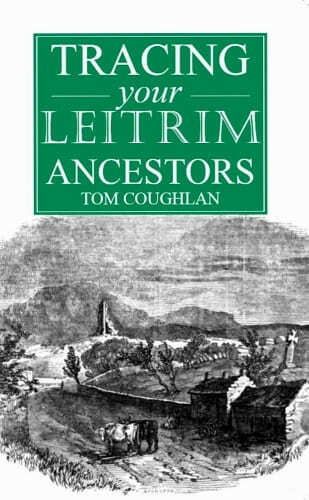 Flyleaf Press has published a guide to Tracing your Westmeath Ancestors by Gretta Connell, a senior Librarian in Westmeath County Library with a special interest in local history. 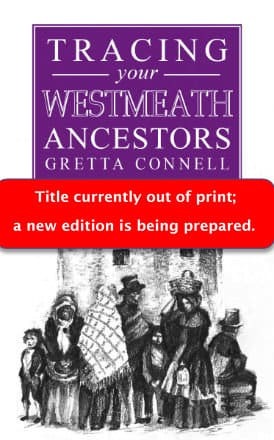 In writing Tracing your Westmeath Ancestors, Gretta has compiled a comprehensive guide to all of the records available for tracing families in the county. The new title is filled with information on what the records contain, and how and where they can be accessed. It is well illustrated with maps of the various administrative divisions; with examples of the types of records to be found; and with other relevant material.